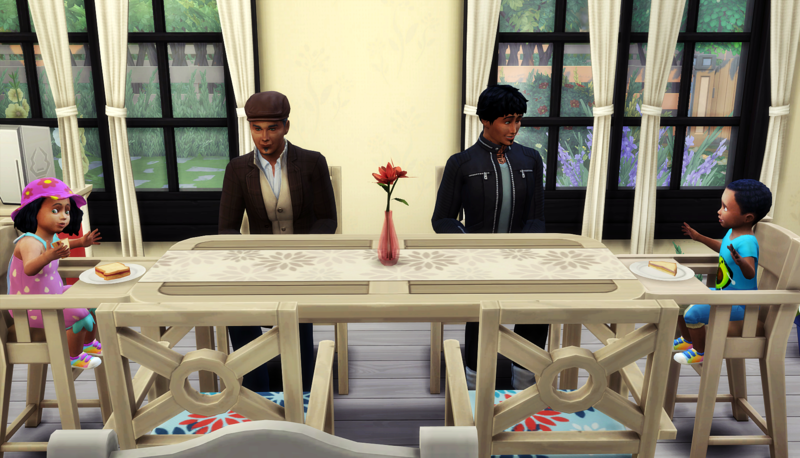 Much to Daniella’s disappointment, Luca and Jim showed up at her house to visit with them as threatened promised. 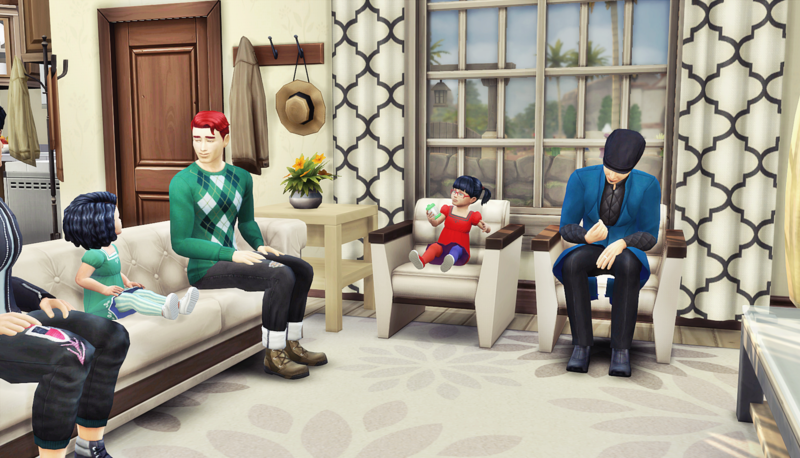 Her kids loved their Zio Luca, but she wasn’t sure how they would react to meeting their nonno for the first time. Jim could be pretty intense, and that could be scary to toddlers. She watched them closely. They weren’t laughing and smiling and trying to hug him, but they didn’t seem fearful yet either. She breathed a sigh of relief and hope it stayed that way. Luca and Hailey had a particular affinity to each other. Daniella thought it was because Hailey most closely favored her. Luca always had weird ways of showing how much he adored his sister. It was heartwarming to see him be so attentive to whatever babbled story Hailey was telling him. 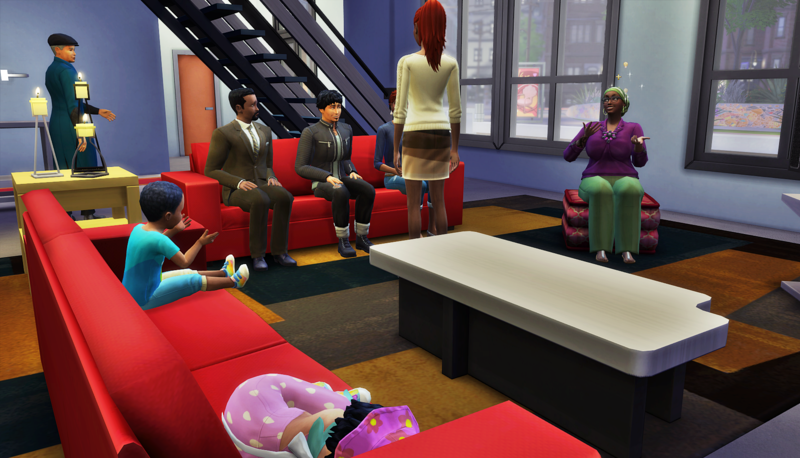 The whole family trooped inside and joined Quincy on the couch. 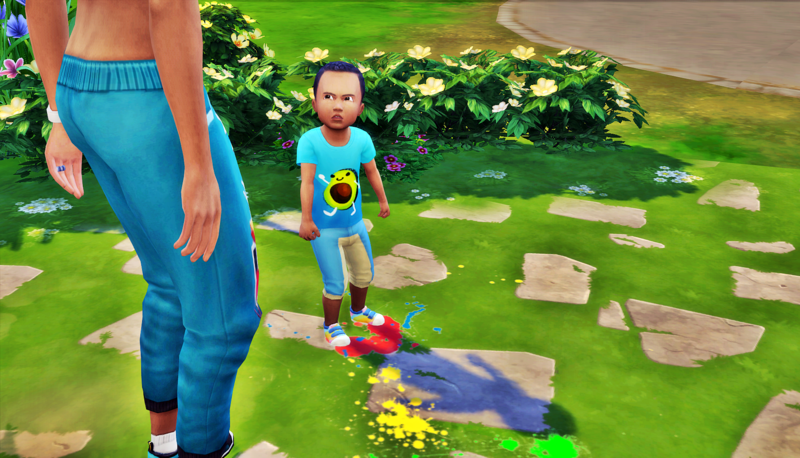 Luca couldn’t believe how clean and neat their house was with three toddlers. He’d knew he’d have to get some tips from Daniella once his twins aged up. 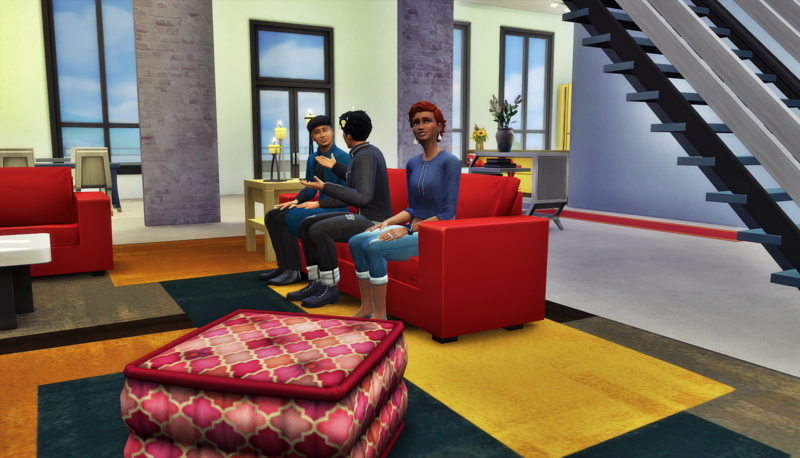 About an hour into the visit, Luca and Daniella both noticed how bored Jim looked. Luca: I wish he would show a bit more interest in his grandchildren. He’s the one who asked to come over here for a visit. Daniella: See, I knew it! He isn’t even paying them any attention. So why is he really here? 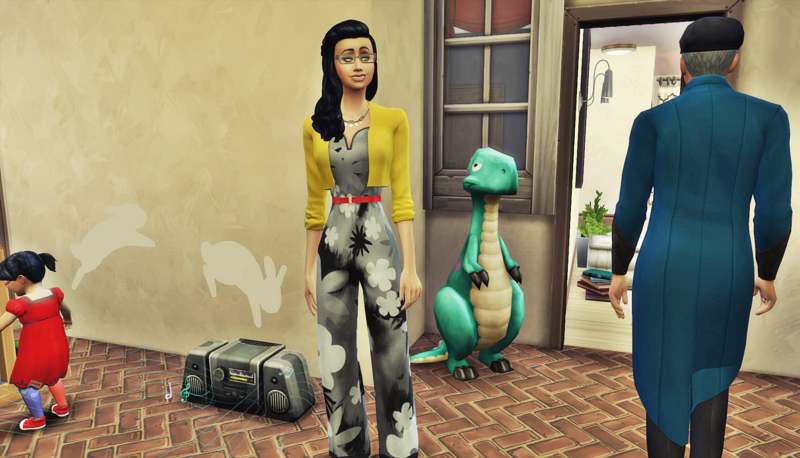 Eventually, Daniella caught Jim’s eye, and gestured for him to meet her on the porch. Jim left and gave Luca a look that let him know their visit was over. 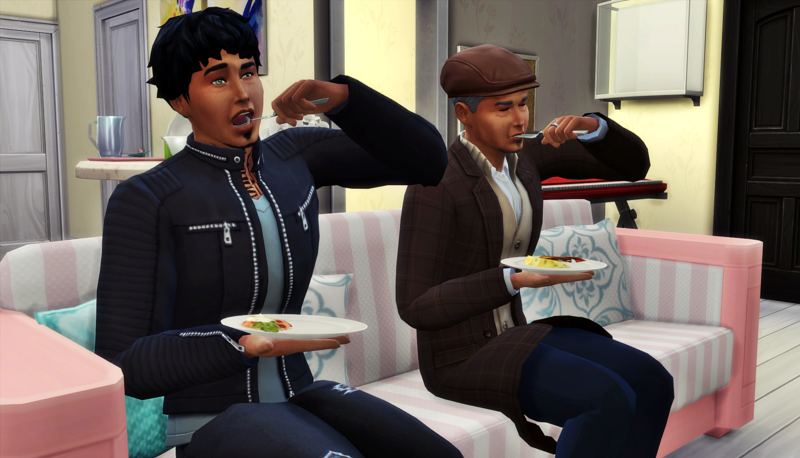 Luca finished the joke he was telling Hannah and Quincy, and they burst into laughter. 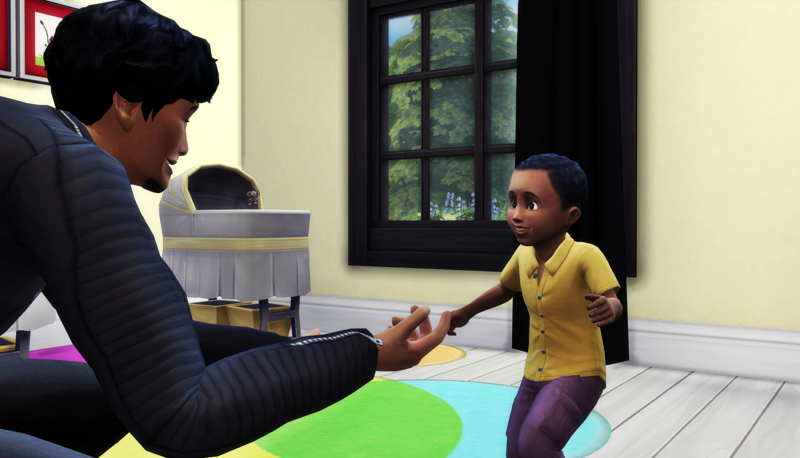 Then Luca stood to leave with his father. They bid the family goodbye and left quickly. 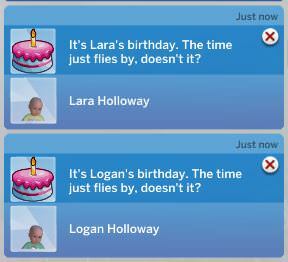 To say that the three Holloways living in Windenburg were struggling with toddler Logan and Lara was an understatement. 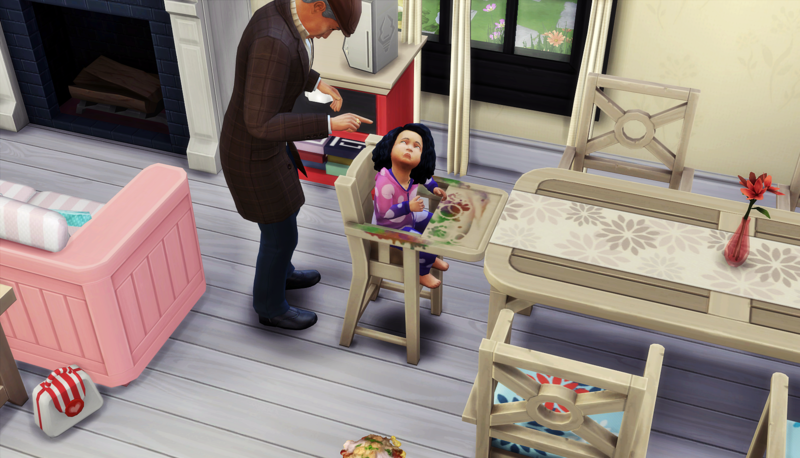 They were being crushed under the weight of potty training, mess making, bed time complaining, dish breaking toddlers. 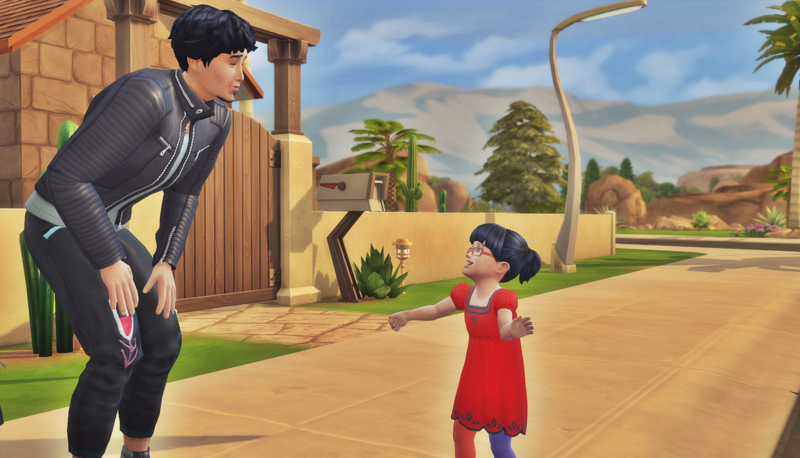 When Liz’s family invited them for a visit, they jumped at the chance to escape their environment. 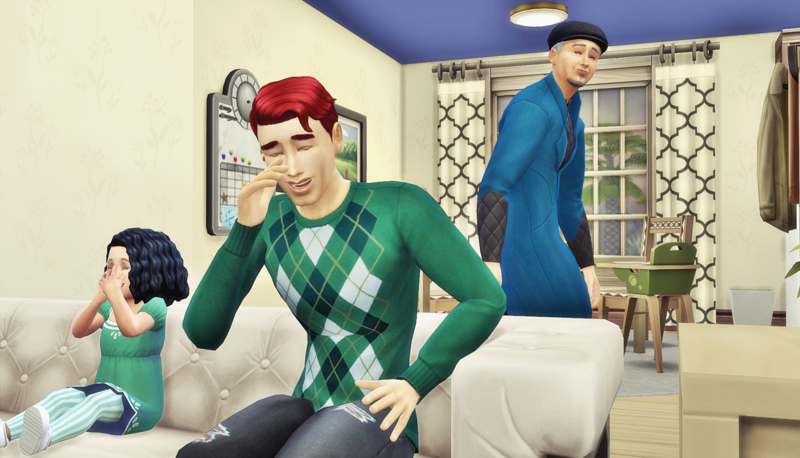 When Jim, Luca, Liz, Logan, and Lara Holloway arrived to the Chong residence, the first thing Liz did was attack her brother with a hug. 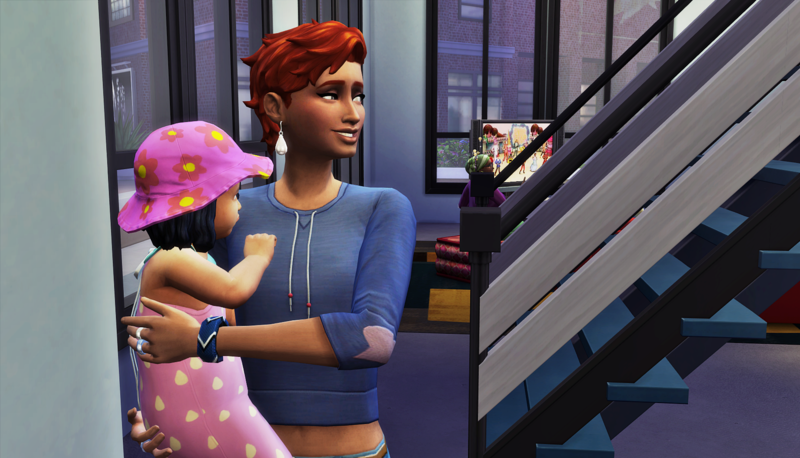 She was so caught up in being a new mother that she hadn’t realized how much she missed him. 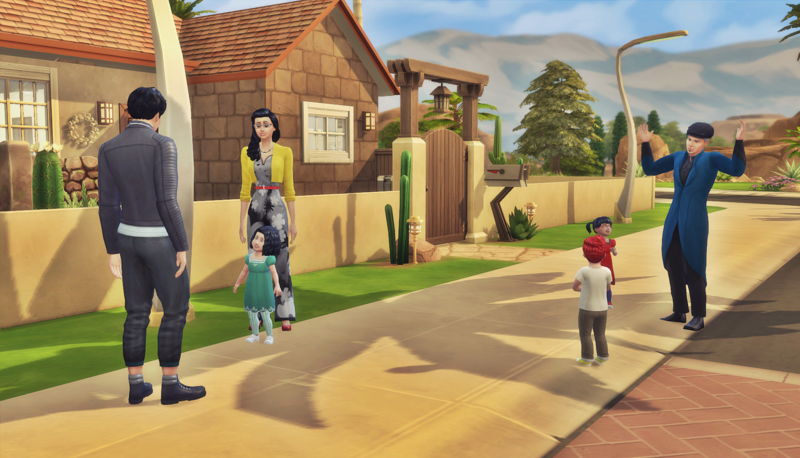 Liz’s parents Gunner and Hope lived in The Old Salt House in the Spice Market neighborhood of San Myshuno. 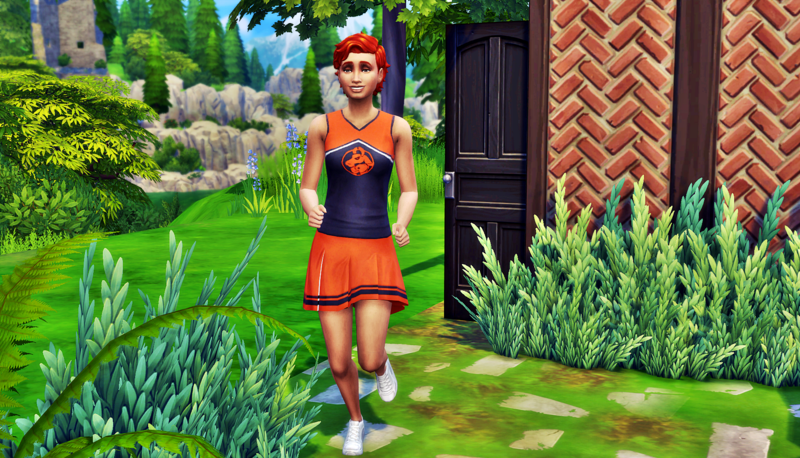 It never failed to amaze Luca that Liz could love living in the country so much when she grew up in that environment. 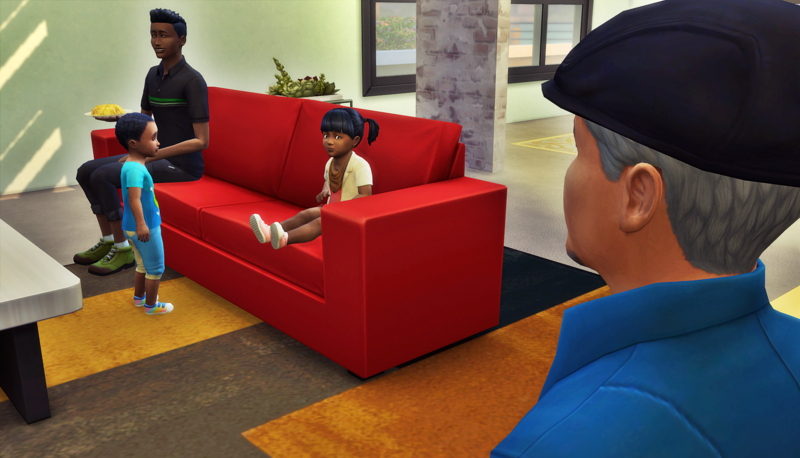 They sat it in the living room with Liz’s little brother Brycen and baby sister Kamila. 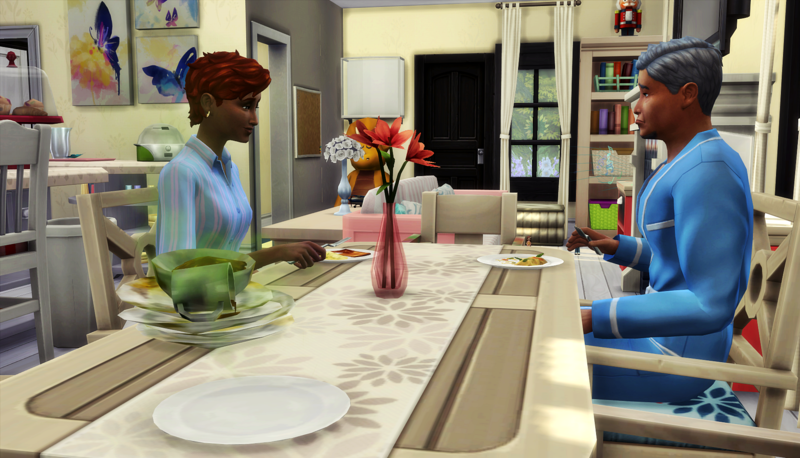 Luca could tell by his father’s face that he also found it gross that Liz’s parents, who were much closer to Elder than Young Adult, had a toddler. 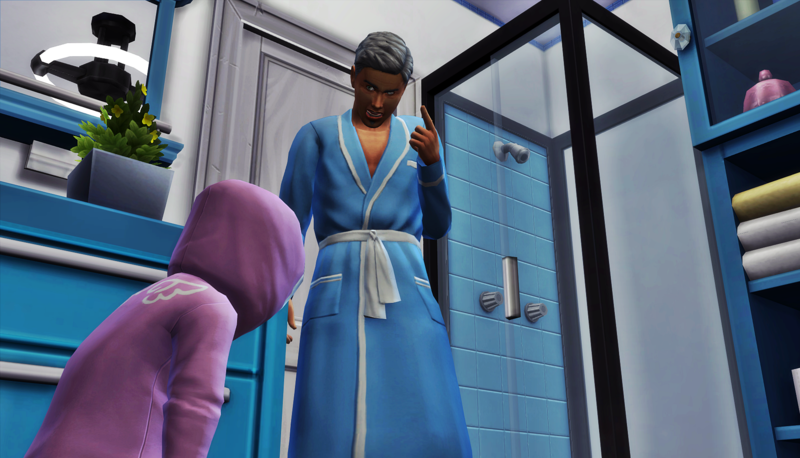 Logan and Lara seemed to be fine with their nonno when he wasn’t yelling at them, but Kamila eyed him warily. 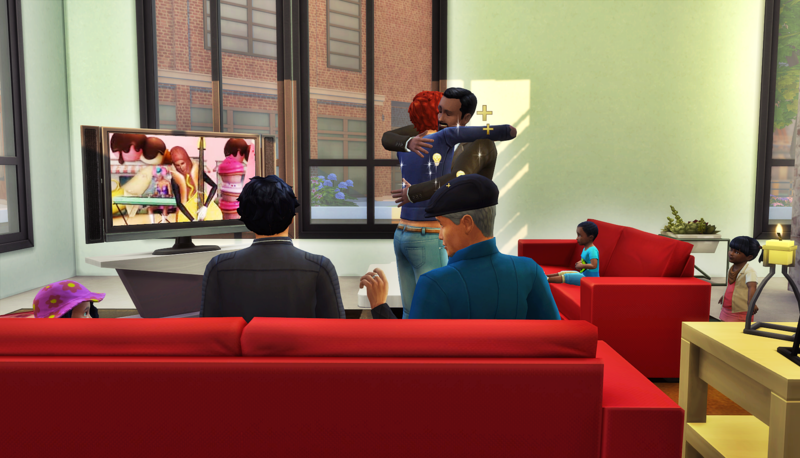 Liz’s parents finally arrived from work, and there were more hugs. Luca looked on wistfully. When his father arrived to town, he greeted him with a hug, but this looked different somehow. 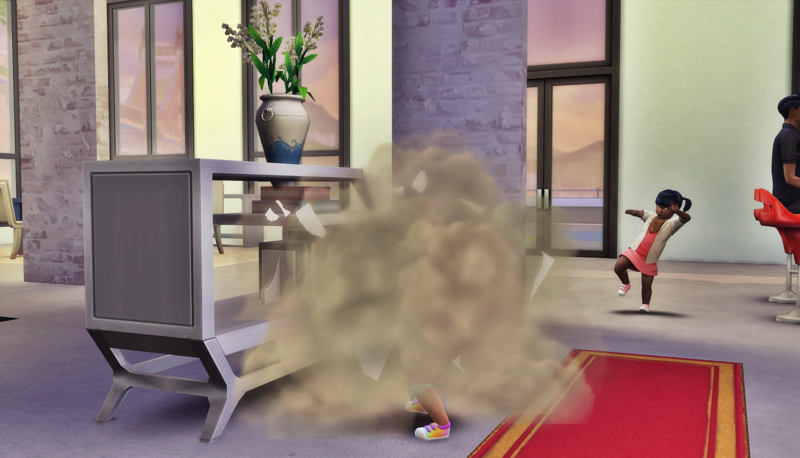 Lara wasn’t typically a wild child, but that didn’t stop her from finding something to tear up in the house. Instead of leaving Luca to deal with it this time, Liz stepped in. She didn’t want her parents to think she was raising heathens. It was the highlight of everyone’s visit when Carmen showed up. 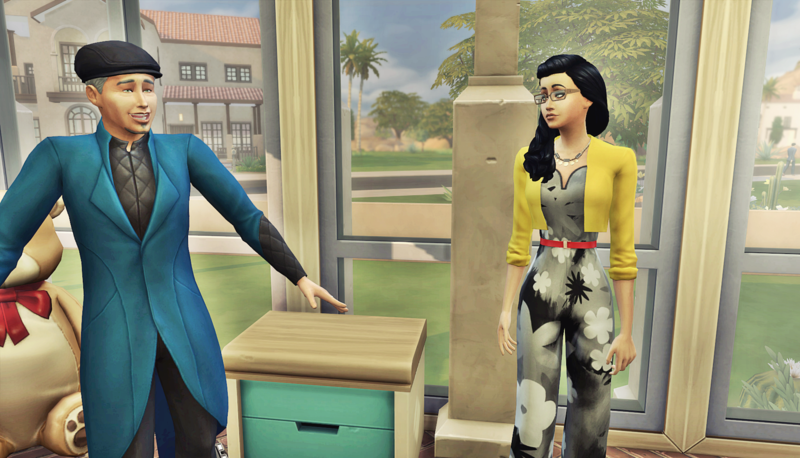 She stopped by to chat with Hope Chong, and was pleasantly surprised to see Luca and his family there for a visit. Little Logan loved Carmen and rushed to give her a hug. With a house full of huggers, and the day having turned to night, Jim Holloway decided to take his leave. He realized Luca was right, Liz did have an effect on him. All these family visits weren’t his style unless they served a dual purpose. This one ended up giving him a glimpse of Carmen Butler, which was fortuitous for his plans. But now it was time to leave. 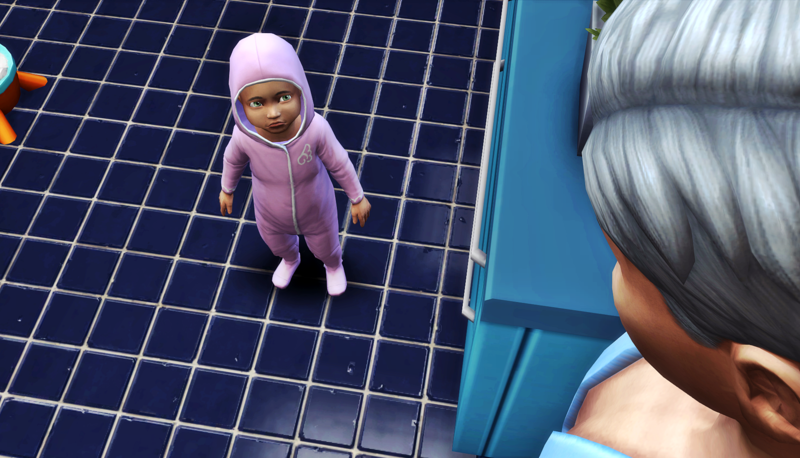 He gave Luca the look, and bid his goodbyes to the family. 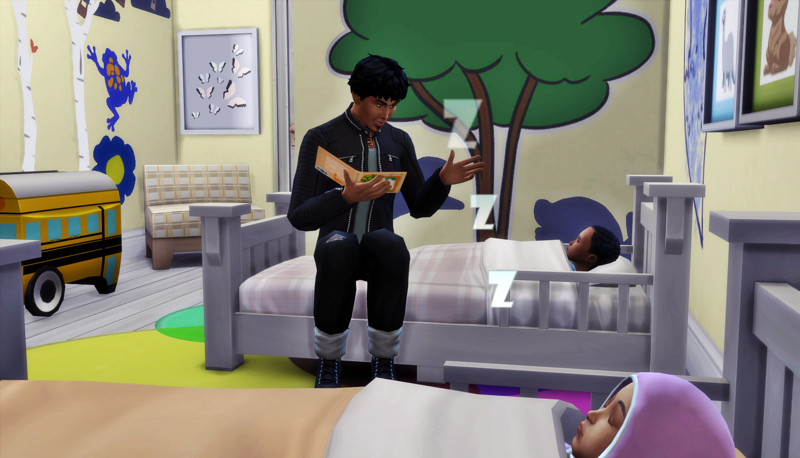 Luca told his wife they should head home since the kids were so tired they were falling asleep. 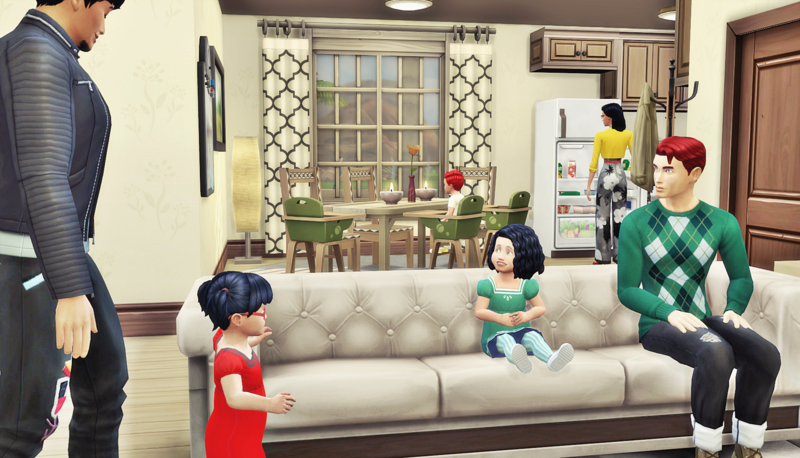 Liz was reluctant to leave her family who she didn’t get to see often, but she agreed and they gathered up the twins. She cast one longing glance over her shoulder as she exited and then tried to mentally prepare herself for the mess awaiting them at home. Author’s Note: Hi guys! This was the last chapter of the Holloways. Tomorrow, we pick up with the Blank family. 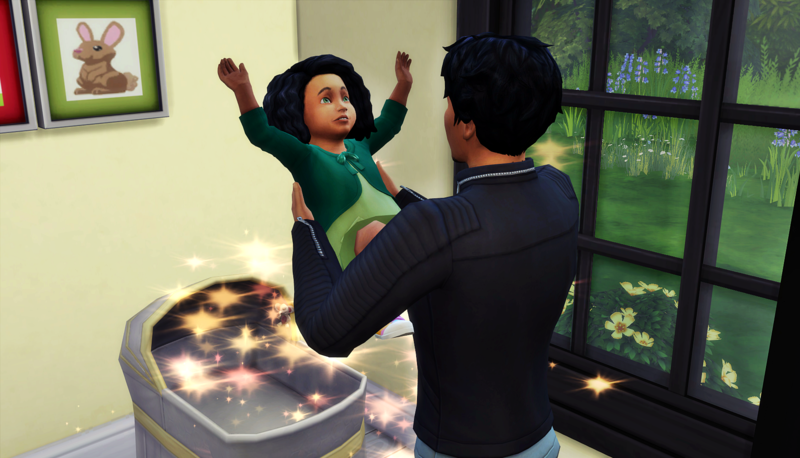 We get to see how they’re faring with no mother in the household. Ohhh! 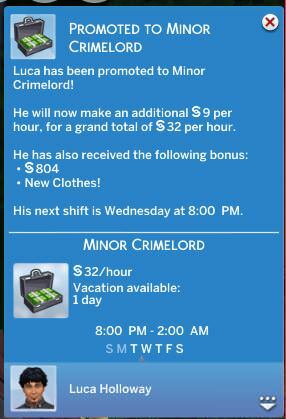 Now that you mencioned it, Luca did change *a lot* since he first appeard…Like, a gradual change.Also, so.many.babies. 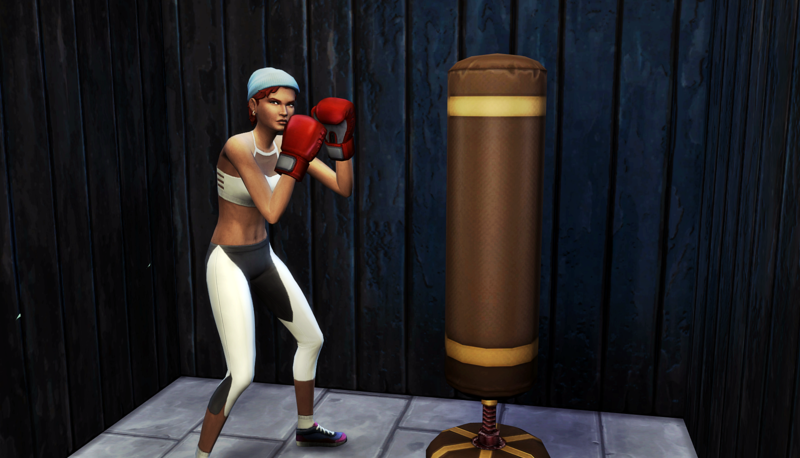 Like, really, how isn’t your town blowing up, townie -wise? 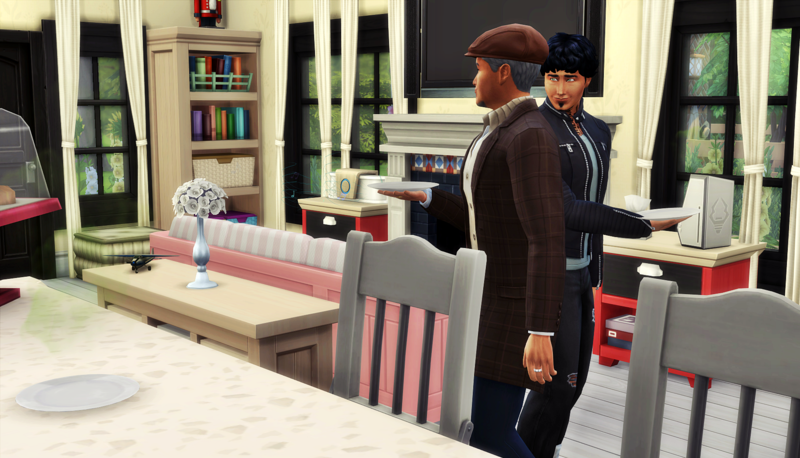 There are like three or four main townie families, and a lot of the premades have married each other. It’s just that everybody has multiple kids. 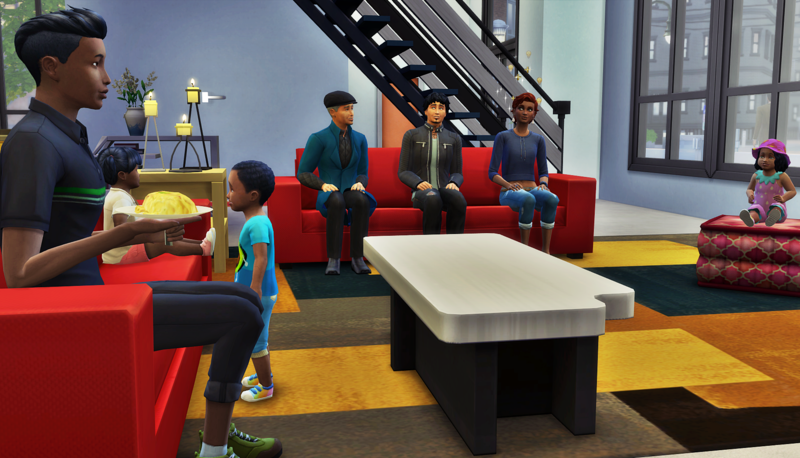 I wish my game mods were a little more realistic with the number of kids in each family, and the number of multiples in town. Also, I’m glad that Luca’s change was gradual. I would hope you come off as harmless, and then slowly reveal what he’s truly capable of. I am so suspicious 😂 But I loved seeing the stark difference between Liz’s family and Luca’s father! “Too much” is right. 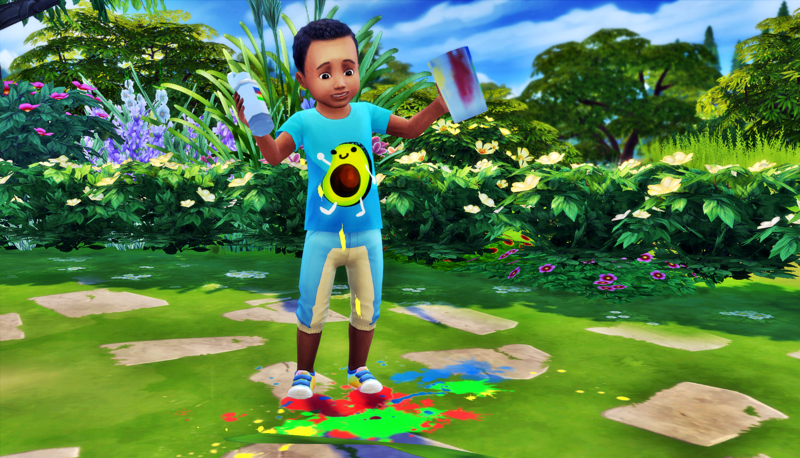 I feel like changing my MCCC settings so that no one ever has multiples again! But yeah, I’m glad I got to juxtapose the two families against each other. 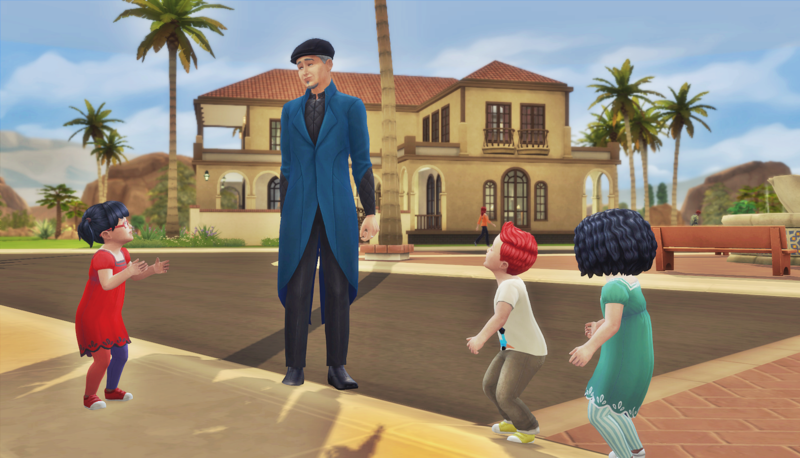 Luca is looking at his sister with her toddlers, then looking at his in-laws with their toddler. He can’t figure out what he’s doing differently, but he knows he’s doing something wrong, lol. That was a lot of relatives and babies and hugs and a tiny bit of mystery with Luca’s dad giving Carmen the eye. Hmmm…. You haven’t seen anything yet. So many babies, and so many relatives. But about Jim Holloway’s interest in Carmen… we’ll see that before Round 10 ends, I promise. Carmen better watch her back. Lol, she doesn’t even know to be worried. They weren’t properly introduced because she was smothered in Logan hugs. That whole hug shot was autonomous by the way. 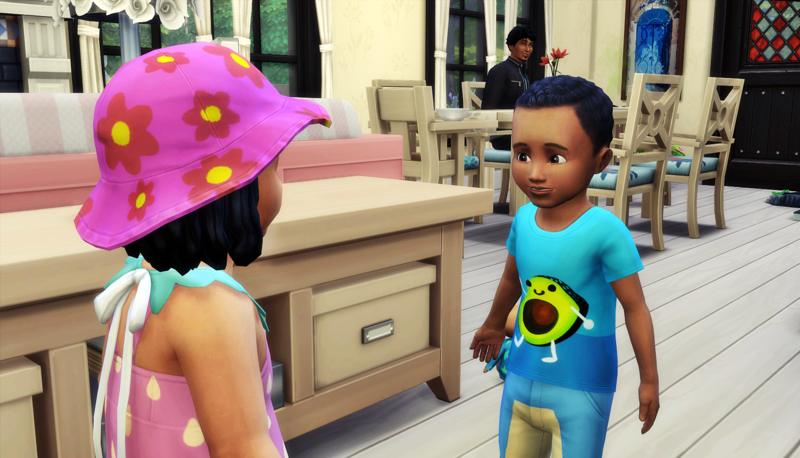 That was actually the first time Carmen met the little boy. Everyone just loves her, no stranger danger. Uhhh, what does Jim want with Carmen? Those twins are so gorgeous ! I hope they become friends with their cousins ! I hope so too. There’s so darn many of them, they need to all have a little club they’re in. Liz’s baby sister can be in it too.